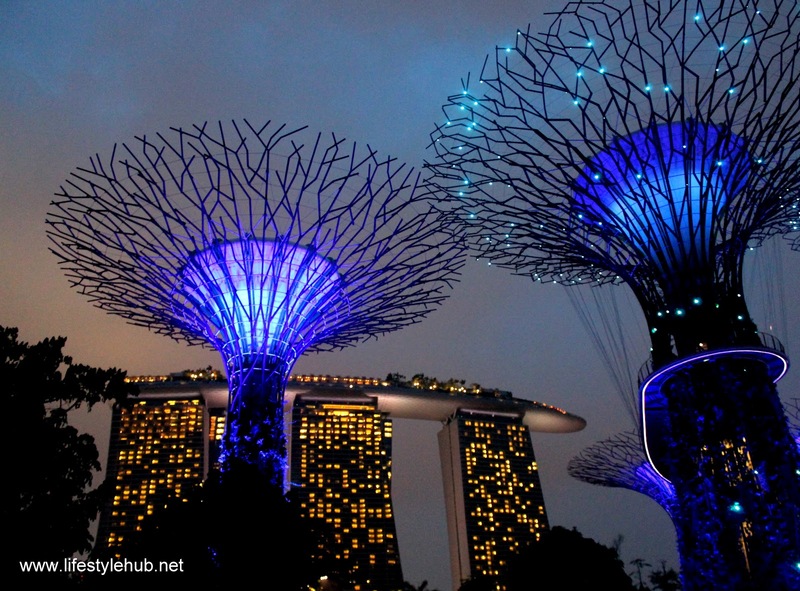 With over 8 million visitors who took photos of Gardens by the Bay for the past two years, I'm sure you already have seen the best images of Singapore's newest icon. I still tried to take snapshots and with how mesmerized I was of the park, allow me to share some of the photos here. We brought two DSLRs with us, a GoPro, one iPhone and 1 Samsung Note so we expect the photos to be coming from anywhere. Wide, fish eye, Instagram-ish, name it. We tried almost every approach although I'd say our photography skills are still amateur. Even if two people have to operate 5 gadgets at one time, me and Joms reminded ourselves to really enjoy the park. We love taking pictures, share them on social media, post a blog or just do a slideshow that's ready to be viewed on our laptops on a nice, lazy Sunday. But we had an agreement that taking of photos should only take half of the total amount of time that we have in one travel destination. The other half has to be about relaxing, observing the view while eating or just sit down there over a nice conversation. The view from the OCBC Skyway, a man-made floating walkway connecting three of the biggest "Super Trees", is just breathtaking. We have to slow down and enjoy the winds caressing our faces with the view of the Marina Bay Sands, the Singapore Flyer and the rest of Gardens By The Bay. The kids were around too so we had the time to watch their shows while waiting for the Garden Rhapsody, a free-for-all lights show which happens every night. Also, access the the Supertree Groove is free but you can purchase tickets to the OCBC Skyway for 5 Singaporean Dollars. The Garden Rhapsody show is also free. But if you're really into flowers, the tickets to the Flower Dome and the Cloud Forest are for SGD28 each. You can purchase tickets online or you can just walk-in at ticketing counters which could be busy during weekends and holidays. Some of the photos were taken by The Sunset Guy. Check out www.thesunsetguy.com for more photos!